On January 25th in Totak, Khuzdar, a local farmer noticed human bones protruding from the ground. The shepherd contacted local officials and they immediately began excavations. In the first grave, 17 bodies were discovered. Soon thereafter at least two more mass graves were excavated. 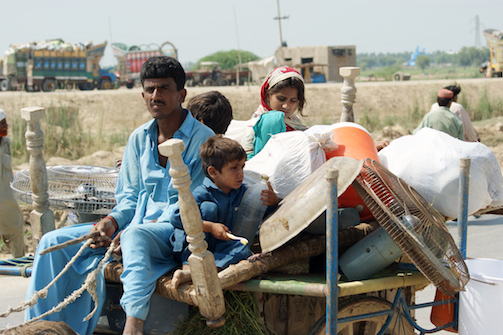 Totak residents and local officials recovered the remains of at least 100 victims (some reports of up to 169) before the Pakistan military arrived and cordoned off the entire area. Civilians and journalists were barred from accessing the site. Neither Pakistani nor international media have reported on the incident. Pakistani news outlets reported only 11 to 15 bodies were recovered. No official investigation or inquiry within Pakistan or internationally has been announced. Rather than find evidence and arrest the perpetrators, Pakistan has instead turned its military might against the people of Balochistan. Since the unearthing of the mass graves in Khuzdar, Pakistan has accelerated their military campaign in Balochistan. Baloch villages in Dera Bugti, Mashkai, Awaran, Nasirabad, Panjgur and many others were indiscriminately bombarded by Pakistani helicopters and mortar rounds. Entire neighborhoods were reduced to ruins by the attacks leaving behind displaced families. By the end of the first week of February at least 22 people were killed and dozens were detained during their assaults in the Dera Bugti regions. On February 15th in Mashkai, 6 were killed. Four days later 5 more were killed and at least 31 residents were detained. These ongoing attacks upon the civilian population of Balochistan continue to escalate in frequency and severity. Residents of Awaran & Mashkai have not even recovered from the 7.7-magnitude earthquake, which devastated the region only 5 months ago in September of 2013.